Michael Beach, PhD, is associate director for healthy water, a program he originated at CDC. He is also chief of the Waterborne Disease Prevention Branch in the Division of Foodborne, Waterborne and Environmental Diseases at CDC’s National Center for Emerging and Zoonotic Infectious Diseases. An epidemiologist and laboratorian with extensive experience in parasitic and other waterborne diseases, Dr. Beach leads a worldwide program to ensure access to safe drinking water, adequate sanitation, and basic hygiene to protect people from waterborne illnesses. 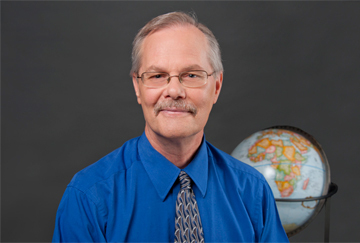 In terms of global outreach, Dr. Beach leads CDC’s laboratory, epidemiology and public communication work to bring safe water, adequate sanitation, and basic hygiene wherever in the world need exists. He develops and tests new ways to allow people to make safe water in their homes or schools. He shows how new water system installations benefit health. And he leads testing and development of new methods for improving water quality or sewage treatment and disposal. For a more complete biography, please see here. For more information about Dr. Beach’s current projects please visit here.